Finally, nearly six years after starting my little blog … I’m thrilled to share my new website with you. Yes, miracles DO happen! I’ve been looking forward to this for such a long time. Birthing this ‘baby’ with its new design and easier navigation should make it a much better experience for you. I’ve got many new features in the pipeline for you! I’d love you to dig in and explore. If you stumble across an error message or something that needs fixing, or just want to share your feedback, please let me know! Article Library – Scroll through the categories for article topics of interest. 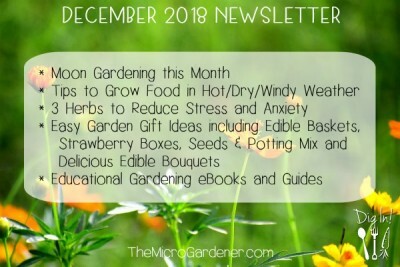 What is Micro Gardening? 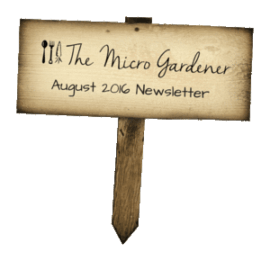 I share the story behind how I created this term and what micro gardening is all about. Shop – I have new products, will soon be releasing my new Potting & Seed Raising Mix Guide and I’d love your support. Below the description for each product, you can click on Discussion to read reviews, ask a question and more. New Search feature – You’ll find this top right on every page – just type in what you’re looking for! Print, Email + Social Share buttons – You can easily share, print or save newsletters and articles on the site. In my garden here in subtropical Queensland, we are transitioning between winter and spring. We typically have short mild, dry winters. Followed by a quick spring before launching into many months of hot humid weather. My garden has been waking up for several weeks with buds, blooms, new leaves and fruit forming on many fruit trees. Peaches and mulberries are fruiting well. Citrus have new growth, the mango is flowering, bananas are ripening, paw paws heavy with fruit and passionfruit vines stretching along trellises. Other edibles are still hibernating. My summer spinach varieties sit in quiet protest with their ‘arms folded’, waiting for the nights to warm up a bit! They will soon start growing new leaves and I’m grateful they are so undemanding of my attention. Yes, there are both high and low maintenance ‘residents’ in my kitchen garden. I accommodate both short and long term plant ‘tenants’ that take up valuable real estate ‘space.’ For this, I expect a ‘return on my investment’. Plants have to pay their way in some form. I expect them to feed me or the insects and creatures in my garden, provide shade, perfume, mulch, organic matter and beauty. Or a few of those roles. Plants that are too much work or don’t provide me with any benefits are soon removed, relocated or composted! If you have limited space, be a tough ‘landlord’ and make wise choices about what you grow. I plant according to what is actually happening in my garden. i.e. in the microclimates unique to my own yard. I suggest you follow planting guidelines for your area but keep a journal detailing exactly what happens when in your own garden. 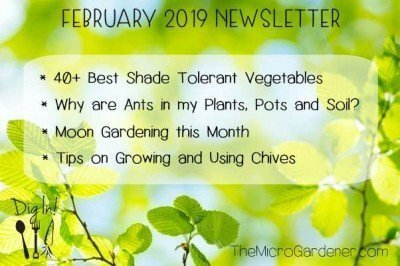 Your soil, shade, sun, exposure to wind etc are all unique – even to your neighbour! The more you know about your microclimates, the more control you have over your plants. You can get the journal I created and have been using for years here. It doesn’t matter what’s happening over the fence in my neighbour’s yard. If my fruit trees start flowering, I give them extra water and food. If birds are nesting and stealing coir fibre from my pots, I give them a bag of building materials so they can self-serve. I watch, keep records and have learned to tune into what nature is doing. Our climate is so unpredictable at times, it can be hit and miss with some planting. If you have similar issues, don’t despair. Strive for balance, not perfection! No one’s garden looks amazing 100% of the time, so take the pressure off yourself and just do your best. 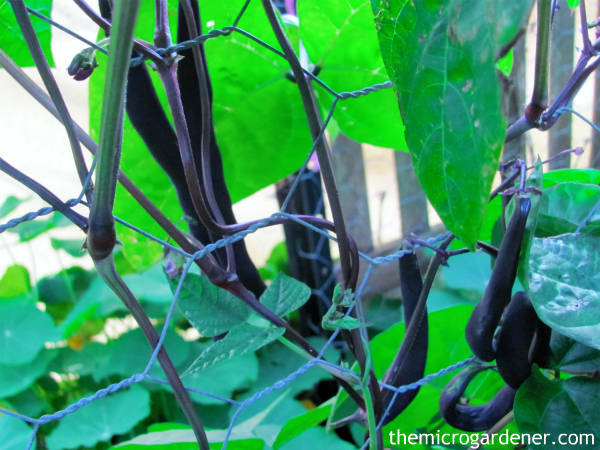 This year, the peas and beans have produced buckets of pods and they are still going. I’ve had a bumper crop. The high humidity though, has brought powdery mildew into the garden and is affecting some snow and sugar snap peas and zucchinis. Time to rescue what I can and cut my losses. Sometimes we just have to manage what we can’t control! Tomatoes and potatoes are growing beautifully as it warms up. My second crop of cherry tomatoes should be ready soon. I don’t bother with other varieties. The QLD fruit fly is too much trouble. Choose your varieties carefully. Avoid buying plants that are prone to pests or diseases. That one decision takes a whole layer of stress out of your life! I’ve just been harvesting garlic. I planted over 100 bulbs at the end of May (a variety that grows in just 3 months in my climate). Other garlic varieties will be ready over coming months. I try to stagger my plantings to extend my harvests as long as possible. 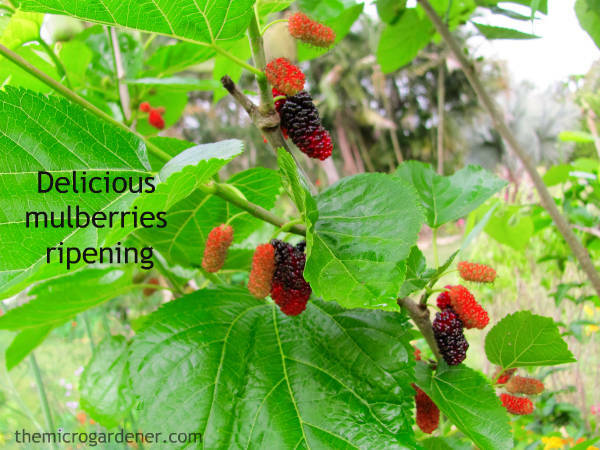 Choose early and late maturing edibles so you can stretch your season. Check with your seed supplier or catalogues for details. The planting guides for my SE Queensland subtropical climate, all say we should ideally plant garlic in March. I’m not one for always following the rules! If you don’t experiment, how will you ever know if you can plant later? Or earlier? 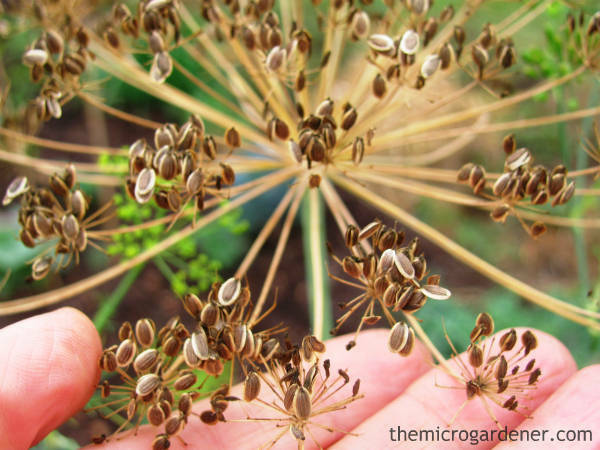 If you can afford to lose a few seeds, bulbs or seedlings, give them a go. You may end up with delightful discoveries like I do! Planting in harmony with the moon cycle for root crops meant my garlic shoots were up just 2 days after sowing. Those sown outside this optimum timeframe just a couple of days later, took another month before shooting! I had to keep checking to see the cloves hadn’t rotted but they were just lacking the energy the others had when I timed it right. Another lesson on how getting your timing right can make the difference between an early or late harvest. That second batch of garlic is still lagging a month behind the ones I’ve just harvested. That’s why I love experimenting and keeping records. I discover all sorts of insights and what to do better next time. Broccoli has been flowering well during the cool weather. After harvesting the main heads, the secondary side shoots are just as delicious. If you grow broccoli, keep up the liquid feeds of seaweed weekly and a slow release organic fertilizer to provide a balance of minerals. Broccoli is a high maintenance crop, takes up valuable real estate and can attract cabbage white butterflies (and their caterpillar babies). However, my broccoli plants deserve this space in my garden because of their cancer-preventing health benefits and the fact they can produce for a long period. I’m willing to pamper them a bit with my time to pick the rewards of good health. Well-fed, mulched, shaded in the hot weather and watered, broccoli should feed us until the end of the year. 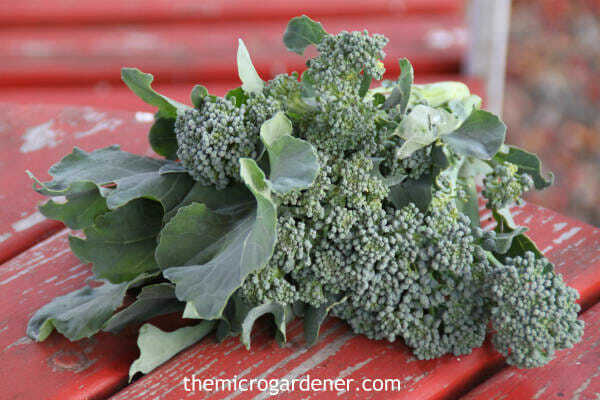 Broccoli di coccio is a variety that will tolerate warmer weather and provides Broccolini-like shoots. If you are cramped for space, try growing broccoli (and other vegetables like kale) as microgreens. These are quick growing, nutritious young shoots you can eat in just 2-3 weeks instead of waiting months for a plant to mature. No caterpillar headaches either! L to R: Perpetual spinach, snow peas, spring onions, cherry tomatoes, mint, basil, nasturtiums, broccoli, parsley, beans, rainbow chard, kale, coriander, rocket & sugar snap peas. Early September, I plan to sow more above ground plants with the new moon cycle, to take advantage of the strong growth period. We are expecting some unseasonal rain at the same time. So I’m hoping this will help bring some much needed moisture to the soil. During this phase of the moon, the plant sap is running strongly. 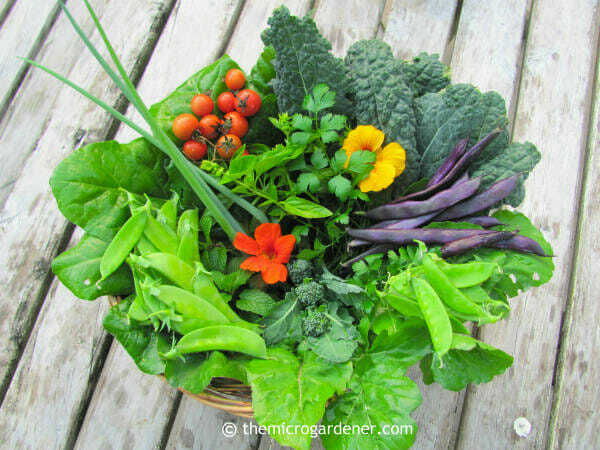 So time your planting so your leafy greens, fruiting crops and herbs have a growth spurt and get off to a healthy start in life. They will also take up liquid fertilizers faster during this period. Again, this is about timing your fertilizing to benefit plant health. I use a moon calendar to make it easy. My garden is ablaze with colour right now. Thousands of cheerful nasturtiums in fiery reds, bright oranges, peach and apricot, yellows, creams and everything in between. The bees are going crazy. No hand pollinating needed! Of all plants, I believe nasturtiums are one of the most beautiful and multi-functional. Nasturtiums have strongly scented flowers and leaves that help mask the aroma of many edibles that are vulnerable to other pests. They make it hard for cabbage white butterflies to find brassica crops like broccoli, cabbage and rocket! One of many handy little organic pest strategies you can use to manage caterpillars. This is the time of year to be really organized. Prior to high growth periods like spring and autumn, it’s important to get your stakes and trellises ready. I use a lot of bamboo because it’s a sustainable resource, cheap and long-lasting. There will be plenty of climbers needing support. Trim back any untidy growth to shape your perennial plants and fruit trees when they are dormant. 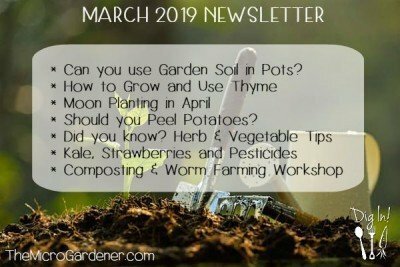 Make compost to feed your garden. I’ve got a light layer of mulch in place so any rain will move through easily. Once our wet season starts I can top up the mulch as a thicker blanket. It’s a balancing act between allowing rain to get into the soil and keeping it there! If you are not sure how to solve a problem, feeling overwhelmed or you need some help in your garden, CLICK HERE to find out how I can assist you. Flowers – If you’re thinking you don’t need to bother with blooms in your garden, I want to convince you otherwise! 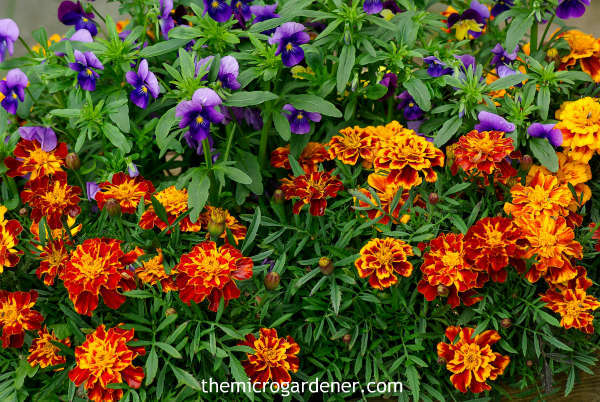 Flowers play multiple roles in EVERY garden, especially if you want a productive plot. Sure, it’s obvious pretty perfumed petals bring sensory enjoyment. Who doesn’t love a fragrant rose or the heady perfume of flowers while wandering outdoors? We’re not the only ones who appreciate fragrant, colourful flowers! Beneficial pollinators like bees, butterflies and birds seek out the nectar and pollen as a food source. Deep throated flowers also hold water or dew drops. The longer these creatures stay in your garden visiting flowers, the greater chances of improved pollination for your edible crops. Birds and predatory insects also provide free pest management services for you. I figure growing a few flowers is a pretty cheap and easy solution for a whole host of potential pest problems. Even if you only include a few pots with annual blooms and the odd perennial flowering shrub, you should see improvements. Many insects find flowers and other plants by scent and colour. I include perennial herbs and shrubs that flower over a long period. Plants like rosemary, sages, salvias, geraniums and basils. 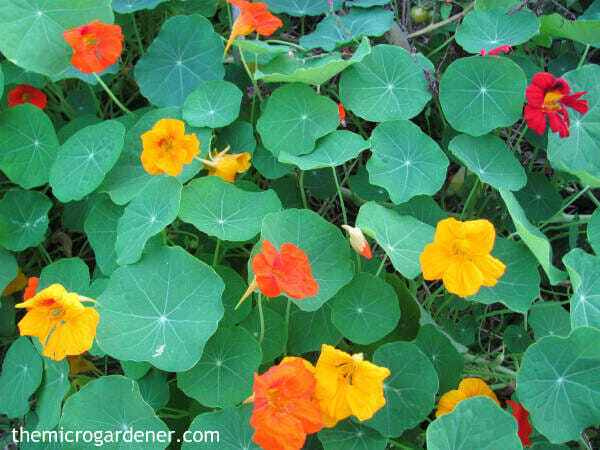 Seasonal flowers like nasturtiums last a long time and provide multiple benefits. Then there are shorter term blooms like marigolds, violas, petunias, cosmos, native violets, dianthus and many more. 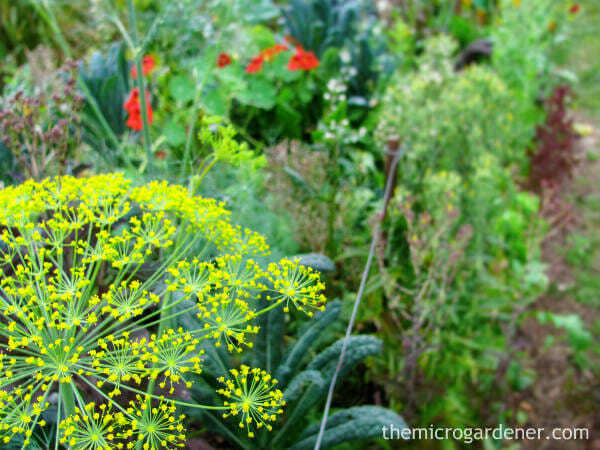 Try dill, coriander, parsley, lettuce, broccoli, Asian greens, mustard and rocket. While you are harvesting your food and waiting for the seeds to form, you are providing a nutritious banquet for pollinators and predator insects. Apart from colour and a fragrant food source, flowers also provide you with a bounty of free seeds. Many will self-sow in your garden without you ever lifting a finger. If you save them, you’ll never have to buy them again! 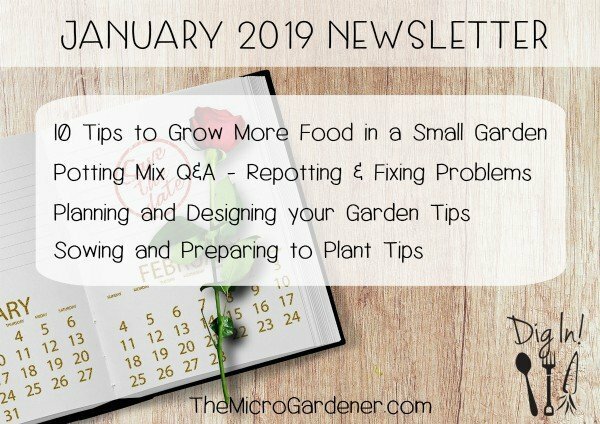 I hope these tips encourage you to plant some flowers, work with nature and enjoy the bountiful rewards. 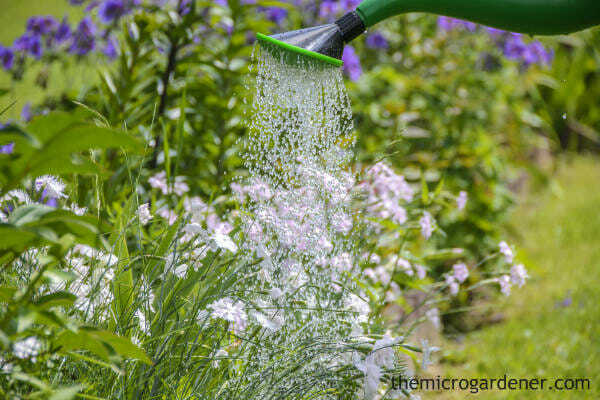 Overwatering your plants is far more damaging than underwatering. 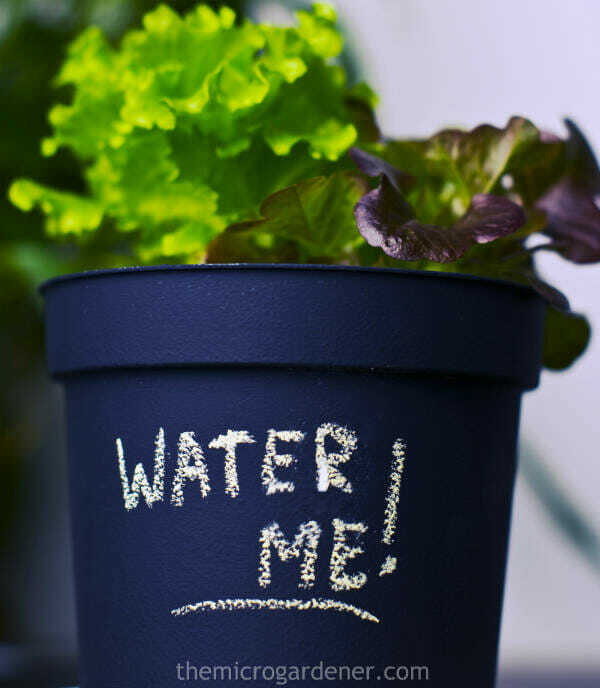 When plants start to wilt, many gardeners quickly water them, thinking they need more. Before jumping to conclusions, I suggest you check your soil moisture level. Unless you are in a heat wave, drought or have little organic matter in your soil or potting mix, it may not be necessary to water. How do you measure soil moisture? One method is to simply stick your finger in around the plant roots. This will quickly tell you if it’s dry, moist or wet. A moisture meter is also a useful tool, especially in container gardens. This saves time and money from unnecessary watering and can reach much deeper than your finger. There are 10 clues your plants may be in soggy soil. If you want to learn how to identify this common problem and a variety of solutions, check out this article. Here are a few guidelines to help you. Use commonsense in your climate! When sowing new plants – if your soil is dry, maintain soil moisture until the plants have established. When germinating seeds – keep the seed raising mix just moist or seeds can rot. Container gardens as often as needed. They rely totally on you! 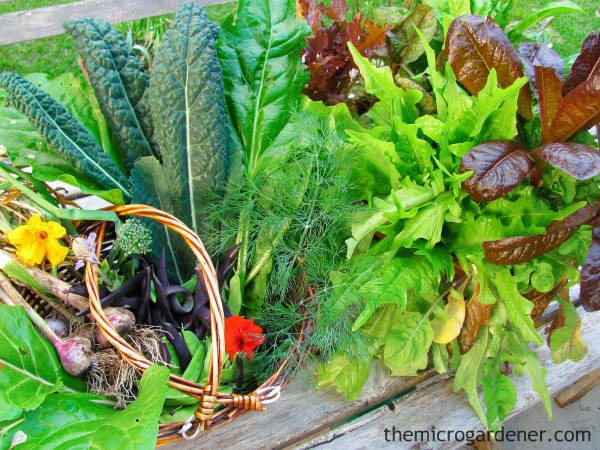 Leafy greens, lettuces and herbs like coriander/cilantro and rocket/arugula. NEVER let them dry out. This prevents them becoming bitter, and bolting to seed. Edibles that are high in moisture such as melons, bananas, citrus and paw paw. Fruiting crops like zucchini, beans and fruit trees when in flower and fruit is growing. If these plants become stressed, they can drop their flowers and abort fruit. Well established healthy plants like perennials, hardy shrubs, natives and trees. Unless you are in a drought, have very dry soil or your plants are stressed, established plant roots should be able to seek out moisture deep down in the soil. Root crops like beetroot and carrots (except in dry periods). Perennial crops like globe artichokes and asparagus. They should mostly be able to seek out their own moisture. Before cooking or eating garlic, chop and crush it. Then allow your garlic to sit for about 5 minutes. WHY? Chopping converts one of garlic’s phytonutrients, alliin into allicin. Allicin is a sulfur-compound that provides many health benefits, including a role in lowering blood pressure. If you are making a dressing with garlic and an acidic ingredient like lemon juice or vinegar, wait 5 minutes. Acidic ingredients like these with a pH <3.5 can actually deactivate these important enzyme processes. 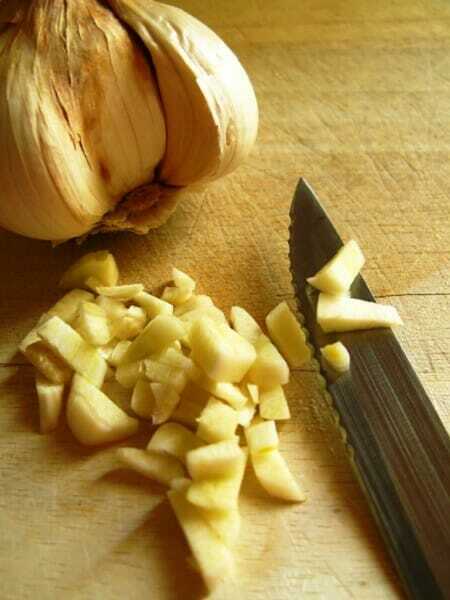 To maximize flavour and nutritional benefits, add chopped garlic towards the end of cooking time. Ideally only expose to heat for the minimum time possible (5-15 mins). Any longer and you’ll unfortunately undo the benefits of the health-promoting sulfur compounds that formed when you waited 5 minutes! Lengthy heating also makes garlic bitter. The extra health benefits are all in the little details. Avoid microwaving or boiling garlic as a whole clove (uncrushed). Research has shown these methods of cooking prevent the enzymes from working. So chop or crush your garlic before you heat and cook it. “While not as strong as the research evidence for cruciferous vegetables, research on the allium vegetables—including garlic—shows that these vegetables have important anti-cancer properties. Interestingly, high intake of garlic (roughly translated as daily intake of this food) [i.e. ½ to 1 clove/person] has been found to lower risk of virtually all cancer types except cancer of the prostate and breast cancer. Definitely food for thought! 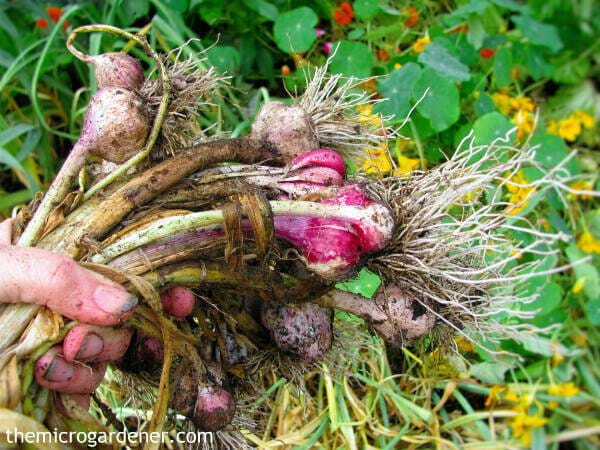 All great reasons to grow your own garlic with this easy 5 Step Guide. Congratulations on another fabulous newsletter, enjoyed every article. Hi Anne, like what you’re doing! I seeded KALE this year, had a beautiful crop but didn’t eat any of it. I’m pretty sure it’s a brassica because it was totally eaten by the cabbage butterfly and the worms. Hi Pat, thanks for the feedback – most appreciated! Sorry to hear you didn’t get your fair share of your kale crop. You’re right, the culprits most likely are Cabbage white butterflies (wonderful mothers that they are!) who lay their eggs on all the brassica family. The caterpillars feast on their leaves. However, please don’t give up! 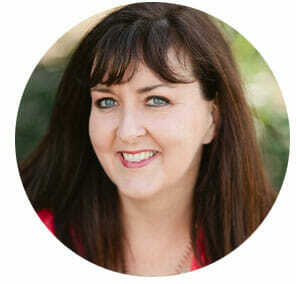 There are SO many organic strategies you can use so you get your fair share. I have about 30 kale plants around my garden right now and few are being attacked despite the high numbers of butterflies in my garden. Check out the tips in my article ‘COPING WITH CATERPILLARS – PART 2‘ for solutions. Let me know how you go! I hope this helps. 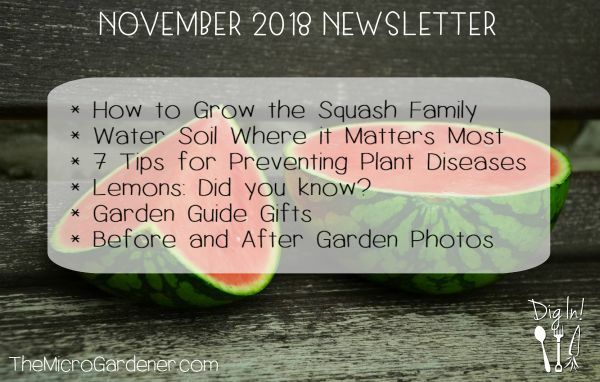 Thank you once again for your informatiive and interesting newsletter. Love the new website, Good job, well done! Cheers from Juli H. Member of Forest Lake Area garden group. I would like to save your news letter to a reference file, can i do this if so how?